In Matthew 6:1-18 Jesus is now going to turn his attention to religious practices and the heart condition needed in giving to the poor, praying, and fasting. Matthew 6:1 serves as the thesis statement for this section on religious practices although Matthew 6:1 is still subservient to the wider theme of needing surpassing righteousness from Matthew 5:20. The point of Matthew 6:1 and this section of the Sermon is that we should conduct all our religious practices for God and God alone. We should do nothing in the name of the Lord to build our standing in the eyes of men. We should have an audience of one, God. Each section on giving, praying, and fasting has a common pattern. First, we are told not to be like the hypocrites when we do each activity because they do each religious activity to be seen by men. Next, Jesus says the revere of men is the hypocrite’s just reward for their religious activity followed by instruction for the believer to do their religious activity in secret with an eye toward God alone. Finally, God will be the one that rewards what He has seen done for Him in secret. There is a beautiful interplay with the eyes and sight in this passage. What we “see” is that God sees everything. He sees the hypocrite’s heart as they search for the renown of men and He sees the contrite heart that is focused on Him in secret. We should take great comfort that God will reward the hypocrite and the righteous justly since He sees everything. People that want the renown of men receive that very reward. The righteous, want the reward that God gives and that is what they will receive. It is a sobering thought that God will give us the desires of our heart even if those desires are far from His plan for us. Understanding that God sees everything should move us towards reverent obedience to Him. Following the pattern described above in Matthew 6:2-4 we are called to give to the poor in secret. Giving is an assumed practice for the believer in the Bible as well as the rest of the spiritual disciplines described in this passage. We give freely because God has freely given to us. In response to God’s great love in Christ, we give; not under compulsion but as one that knows God will see our good deeds and reward us. We are symbolically speaking “not [to] let [our] left hand know what [our] right hand is doing,” meaning that our giving not only needs to be done in secret around other men but in our own hearts we need to protect ourselves from pride and self-righteousness as we give. Jesus moves on in Matthew 6:5-15 to speak about prayer. This seems to be the highlight of this section of Christ’s concern for proper religious practice as Matthew devotes extra space to Jesus’ teaching on the subject. The familiar pattern is seen in Matthew 6:5-6; we should not be like the hypocrites that pray to be seen by men, but should rather pray in our closets for the One who sees what we do in secret. In Matthew 6:7-8 we have the same pattern repeated about prayer, although slightly modified using Gentiles as the anti-example instead of hypocrites. Here Jesus teaches us that we should pray with faith knowing that God loves us and knows what we need before we ever ask. In contrast the Gentiles pray the same prayers over and over again trying to be heard. One can think of Elijah making fun of the prophets of Baal telling them to pray harder and louder since their god may be asleep or on a journey (1 Kings 18:27). One can think of other modern day religions that try to get God’s ear through rote repetition. Instead, Christians are to see God as a loving Father that not only has the best interest of His children at heart, but has promised to listen to them already knowing what they need. 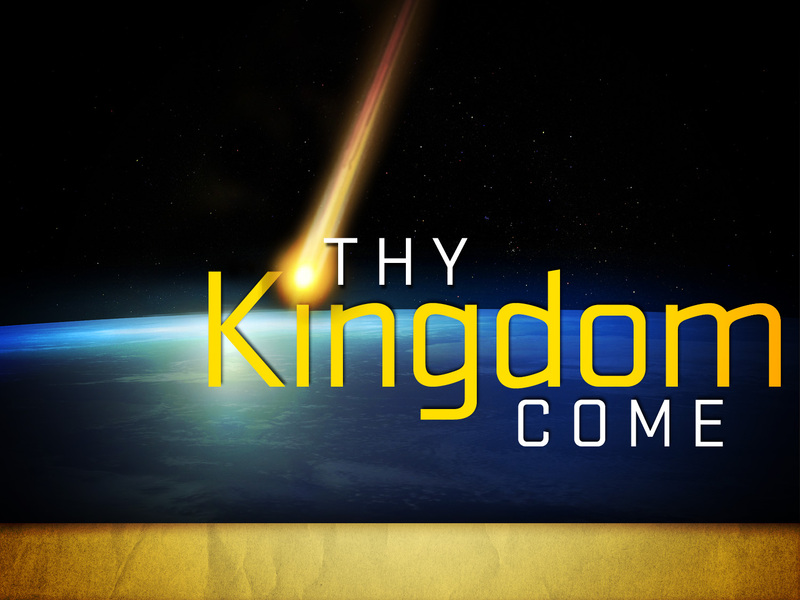 In Matthew 6:9-13 Matthew records Jesus’ words that have come to be known as the Lord’s Prayer. Jesus has given two examples of contrasting prayer, the way in which hypocrites pray and the way in which Gentiles pray, all compared to proper prayer expected from believers. Now Jesus is going to give us a pattern for prayer. This is very significant and we should take special note. God in the person of Jesus is telling us how we should pray to the Father. Many times this prayer has been given special significance in and of itself. It is ok to pray the Lord’s prayer as it is, but we should not fall in to the trap of praying like the Gentiles in Matthew 6:7-8 as Jesus has just described. Rather we should fill this prayer with content from our heart to our Father in Heaven. The prayer opens with the first two verses (Mathew 6:9-10) being concerned with God. We are to begin our prayers to the Father by ‘hallowing’ His name. This means we should praise Him and recount all the ways He is God and the ways He has moved among men from the beginning of time until now. 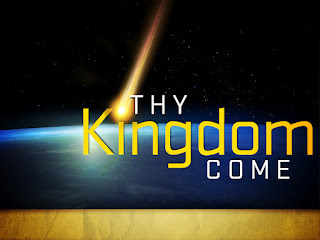 We then are to pray that He would accomplish His purposes in reestablishing His reign in this world as He all ready reigns in all time and eternity. As we revere God in this way, we are agreeing with His plan for the world and are joining Him in what He is doing. We are aligning our wills with His. This becomes particularly important as we begin to make requests of the Lord. The second half of the prayer (Mathew 6:11-13) deals with our needs and desires. We are to ask God for our daily provision, both in terms of actual bread, and the bread of life that comes from Christ. We need God both physically and spiritual to renew us and provide for us daily. It is here that we can fill our requests to Him. Next, we confess sin to the Lord. We do this because we known He is merciful and loving. We come to Him knowing that He has promised to forgive us of our sin if we will confess it to Him (1 John 1:9). Finishing our confession we turn to forgiving others in a pattern after the way He has forgiven us. When we display forgiveness to others we are showing the fruit of salvation in our own lives. This point is reinforced in Matthew 6:14-15. Finally, we pray against the temptations that will come our way by asking for God’s protection and deliverance from evil. May we learn to pray in the pattern our Lord has given us. In Matthew 6:16-18 Jesus turns to fasting. Again the familiar pattern is incorporated: don’t be like the hypocrites who fast for the eyes of men, they have received their reward, rather fast in secret for the Lord who sees in secret. When I have fasted I have taken great joy in going about my day as if it was a normal day while knowing on the inside that I am depriving myself of food for the Lord. What a great way to keep the Lord front and center. Fasting is not only a great way to focus on the Lord but it also helps us to overcome the lusts and desires of our body. Fasting is an excellent way to develop our spiritual gift of self-control. Again in this section of the Sermon on the Mount the message is the same; we need surpassing righteousness. In the religious practices of the believer this means performing acts for the Lord and the Lord alone. This of course assumes the believer to be engaging in these spiritual disciplines. If we are engaging in these disciplines, we are not to seek out the renown and revere of men. If we desire the revere of men we will receive that reward in full when they cast a glance our way, but the true reward lies with the Lord who sees what is done from the heart in secret. What a sad reward it is to receive praise from men. I want the reward that resides with the Father. What about you?